DialAFlight Blog | Tropical North Queensland - What You Have to Do! Tropical North Queensland - What You Have to Do! 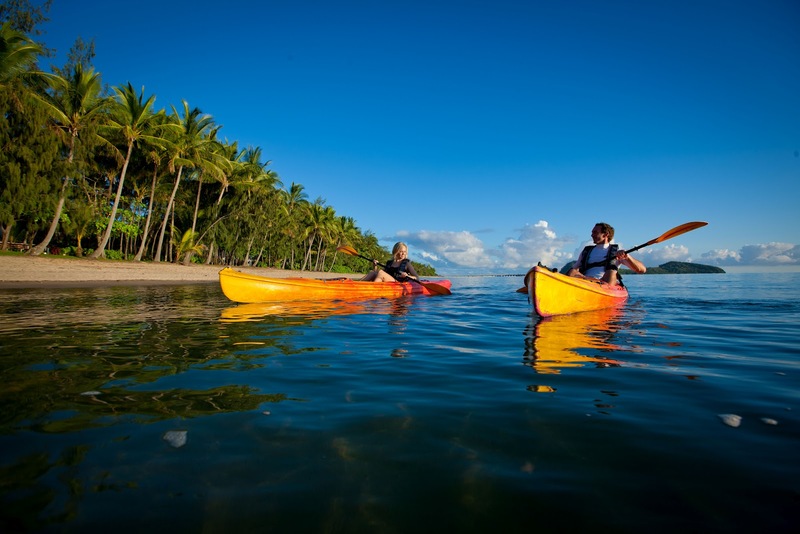 Tropical North Queensland is a truly diverse destination with plenty of opportunities for adventure and excitement. Famous for its natural beauty, the region holds many surprises for those who visit including incredible ways to see the sights, heart-pumping action and even a drop of culture too! Where else is there to start other than the remarkable Great Barrier Reef? An unmistakable collection of vibrant marine life, the reef creates a spectrum of colour unrivalled by anywhere else on the planet. Exploring the depths of these turquoise waters will reward you with a truly unforgettable experience, as well as the chance to take in the serenity of either Fitzroy Island or the luxurious Lizard Island - two idyllic spots right on the Great Barrier Reef. These two islands are also prime options for some fabulous beachfront dining, where you can truly admire the views whilst sampling the very best of locally-sourced Australian cuisine. Back in the city, Cairns boasts a delightful range of culinary delights to be enjoyed, from the street food and popular cafes, to the international cuisine of the illustrious restaurants based in the world-class hotels, there's plenty to tuck into. It's not just the food that keeps visitor's feet on dry land here though. There are plenty of chances to explore above the water too. The Gulf Savannah holds many natural attractions too, making it more than worthwhile taking the time to explore it. A vast and rugged stretch of land, the gulf's wide, open spaces are separated by expansive gorges and lava tubes which will more than peak your interest. Caves, fossil fields and hot springs add yet more appeal to this unique part of the world. Tropical North Queensland is a place where hearts start racing. Be it from witnessing unbelievable sights, or from adrenaline-pumping activities, which can add a whole new level of excitement to your trip. These activities range from simply hopping on a raft for a leisurely paddle, to a thrilling skydive over Cairns - for an unrivalled view. Sitting in-between the two on the 'excitement scale' are mountain bike trails, bungee jumps, kayak trails and almost obligatory snorkel sessions.